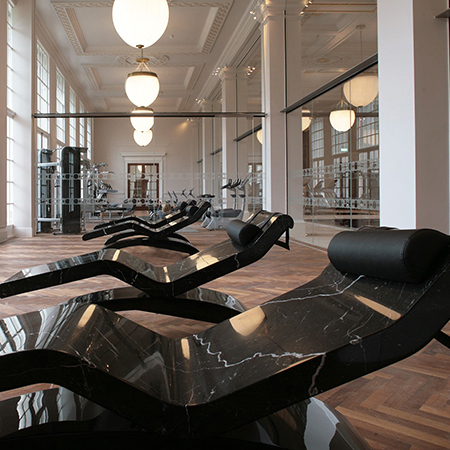 The CS Wallglaze® range was specified for the refurbishment of a former military hospital at Richmond Park, the Star & Garter. The well-known building has been renovated into luxurious apartments with a range of private facilities and superb views of the park. 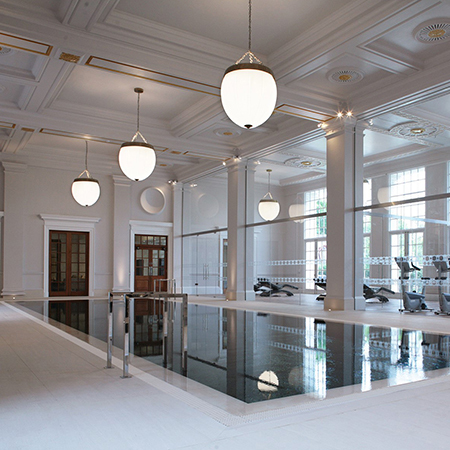 As part of the refurbishement the former grand exercise hall of the hospital has been turned into a large leisure suite featuring a swimming pool, jacuzzi and gym. 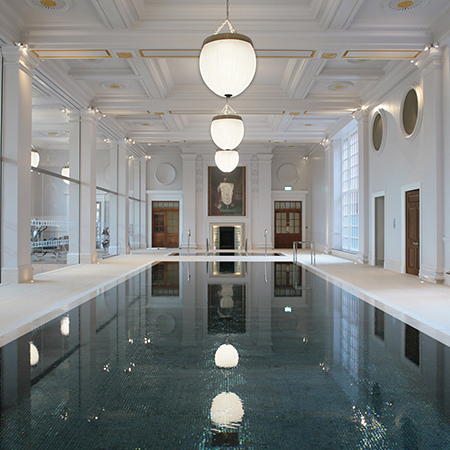 Due to temperature & humidity levels, stringent cleaning regimes, and high chlorine content of health and leisure facilities special consideration had to be given to ensuring effective protection of the existing building fabric, which included an ornate, original plaster and gold leaf ceiling. It was obvious that regular wall finishes were no match for these conditions, and high performance finishes were required instead. 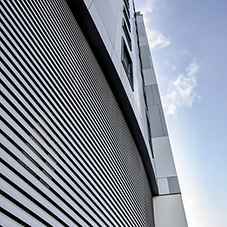 Tried and tested in challenging environments, the CS Wallglaze® range was specified to meet both functional and aesthetic project needs. 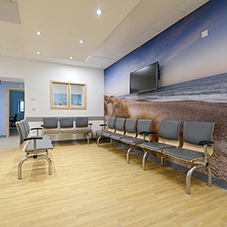 For the walls and ceilings throughout the leisure suite, CS supplied its highly resilient Wallflex® system, enhanced with Heavy Duty Fibreglass Reinforcement. 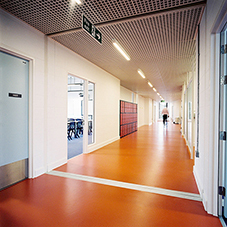 Standard Wallflex® was applied to door & window frames and skirting boards. 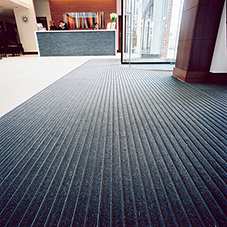 The overall system provided offers anti-microbial properties, resistance to a wide range of chemicals including chlorine, as well as intrinsic flexibility, making it ideal for leisure facilities. Gold leaf areas of the ornate ceiling were overcoated with a clear and impermeable Armourlac™ coating, to protect them from discoloration and deterioration. 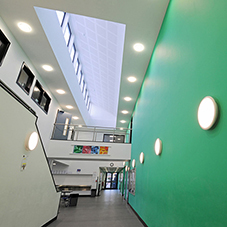 Protected by CS’ hard-wearing finishes, the interior of the Star & Garter leisure facility will remain aesthetically pleasing and easy to clean & maintain for years to come.